Product prices and availability are accurate as of 2019-04-18 19:59:51 UTC and are subject to change. Any price and availability information displayed on http://www.amazon.co.uk/ at the time of purchase will apply to the purchase of this product. 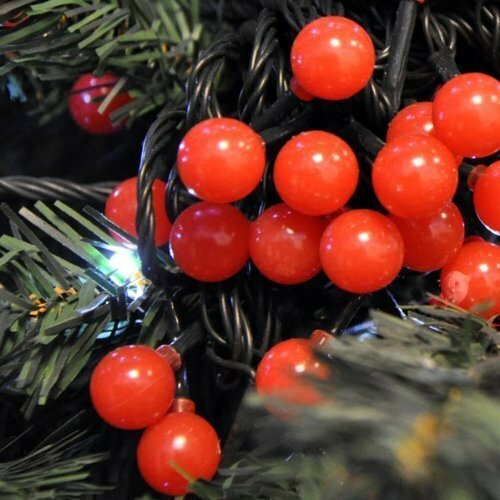 These Beautiful Red Berry Lights will look magical draped on a garland and place around your Fireplace mantlepiece. You could even put them in a bush in your garden as they are for both Indoor and outdoor useage. Another place you could use them is in your door wreath. 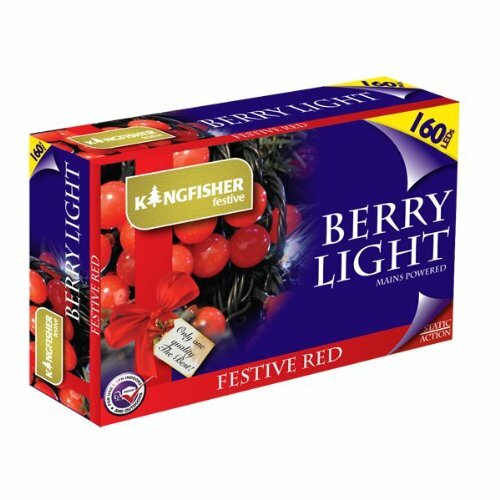 There are 160 berry lights which will be enough for use in a Christmas tree. Overall length 21m including 5m lead wire. Complete with low voltage adaptor. 160 red berry LED Christmas lights Overall length 21m including 5m lead wire. Outdoor or indoor use. Complete with low voltage adaptor.